As football fever hits Wales due to the national side success at Euro 2016, a festival of football hit Cardiff as teams from across Wales, from Penarth, Cardiff, Barry and far afield such as places like Swansea, Ceredigion, Gwent and Pembrokeshire ascended on Cardiff Arms Park, the home of Cardiff Blues. 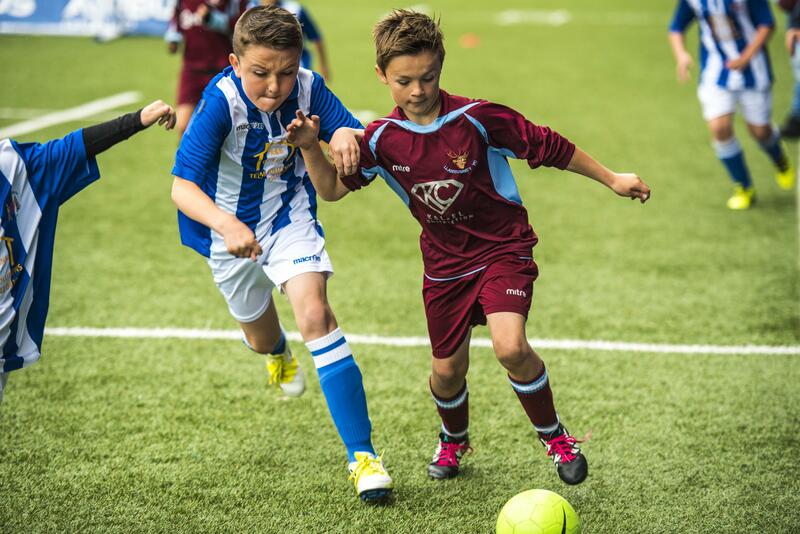 The non competitive festival aimed at U6 to U11 age groups saw over 180 teams and 1900 children taking part in the prestigious football festival played under the FAW mini football rules. As the children were paraded on the pitch before a ball was kicked a special applause was made towards the Wales national team for performing so well at Euro 2016 and capturing a generation of children inspiring them to be hooked on football. A Cardiff Cup spokesman said “Cardiff is a city with a proud sporting heritage hosting some of the biggest sporting events in the world and will be the venue for the 2017 UEFA Champions League Final. We can’t thank Cardiff Blues and the Arms Park stadium enough in allowing us to use their historic 12,000 capacity stadium it was fantastic seeing so many children playing football in a wonderful time for Welsh football”.